If someone asked you to name something you wanted to be when you grew up, and Jedi was not on the list, you're a bloody liar. There is nothing quite like swinging around a lightsaber, from a dinky little plastic fold-up one, to a Force FX saber. Pretending to be in Star Wars is every child's fantasy. And now that you're old and regretting getting that degree in that major you'll never use, you can relive your childhood fantasies of being a Jedi or Sith....kind of. Incredible, right? Well, they are trying to turn it into a full web series! But they can't do it without you! Check out their Kickstarter Page Here and help out any way you can by donating what you can! As of June 18th, they are only at $4,517 out of $10,000 with only 17 days to go! For those who don't know how Kickstarter works, if they don't hit their goal by the end of their deadline, they don't get any of the funding, the only way to see this in action is to help them hit their goal!!! Bonus incentives include everything from a name in the credits and DVD's, to a replica lightsaber, and being a full Producer! 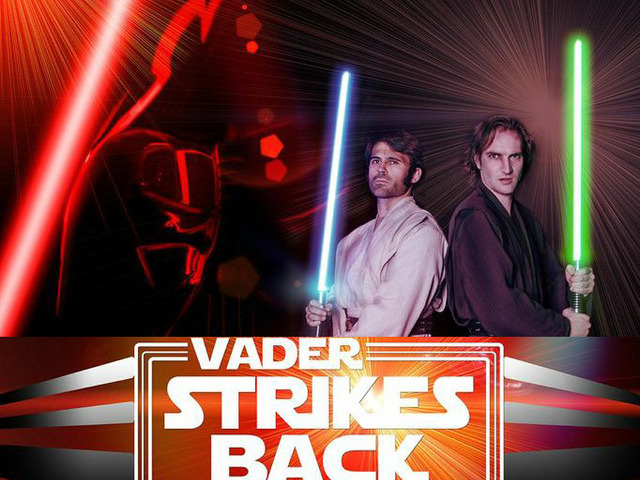 So be sure to check out their Kickstarter Page, and show them that the force is truly with this series!!! TRAILER: First Look at Disney's "Frozen"